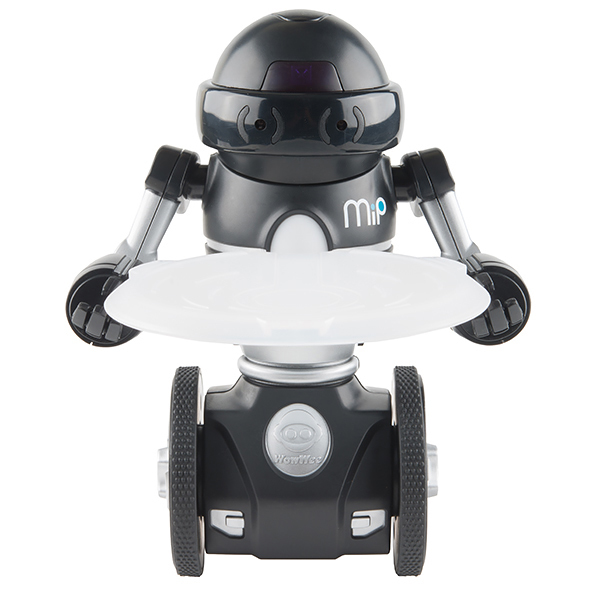 The MiP Robotic Platform is the first self-balancing robot that you get to control and play games with. 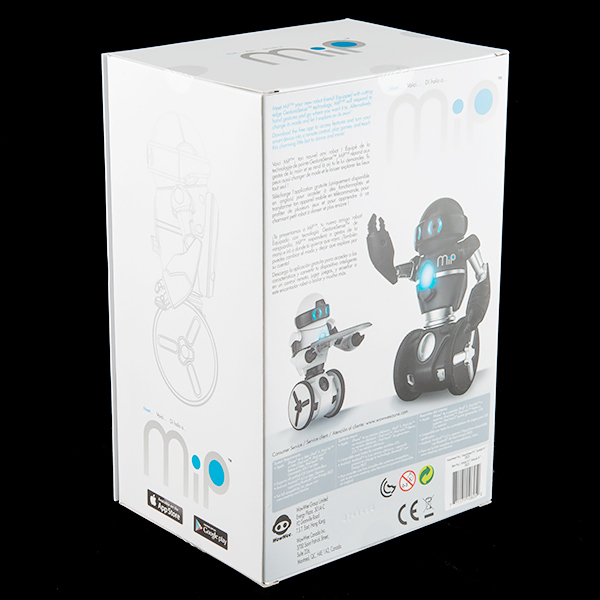 The MiP can drive, dance, plays games, battle with other MiPs, respond to simple hand motions and can be remotely controlled by a compatible iOS or Android device. Thanks to a suite of motion and sound sensors and WowWee's own GESTURESENSE™ technology, MiP will respond to the simple swipe of a hand: just swipe in any direction, and MiP will follow. 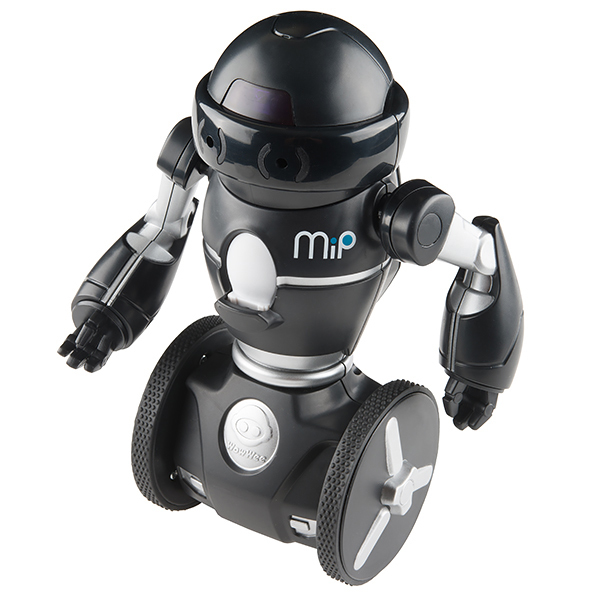 You can even program up to 50 hand swipes in a row, clap twice, and MiP will play it back! Each MiP has 7 pre-programmed "modes" that can be selected by spinning one of it's wheels each with its own corresponding color that lights up on MiP's chest. These modes include: MiP Default (Blue), Stack (Pink), Cage (White), Tricks (Red), Roam (Yellow), Dance (Turquoise), and Tracking (Orange). Additionally, the MiP is equipped with BLE (Bluetooth Low Energy) connectivity and can interact wirelessly with most new iOS and Android mobile devices (check in the Documents section below for a complete list of compatible devices). 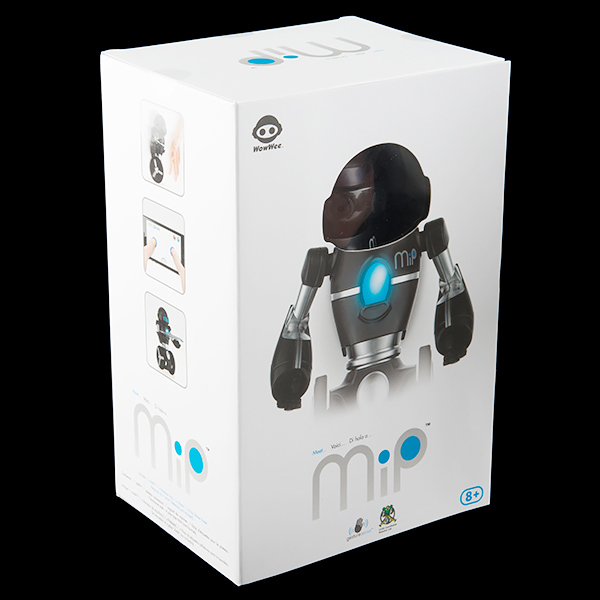 While using the MiP App, you can access an even wider range of behaviors, moods, games, or even have your new robotic best friend dance to songs on your device! 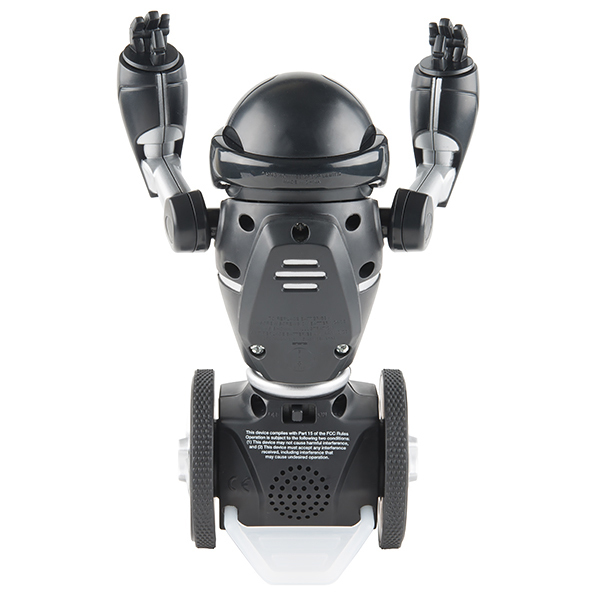 Note: The MiP Robotic Platform requires 4x AAA batteries (not included) and is intended for ages 8 and up. The MIP is a pretty amazing bit of kit. Incredibly hackable. When will you offer the BeagleMIP? MiP is NOT completely Android compatible. Wowweezone needs to list the devices they actually tested for compatibility. The Kindle Fire is an Android device and as usual the app puked on install. The Fire is merely "based" on Android. Amazon/Lab126 forked off the AOSP and build their own ecosystem around it. It's a headache to develop for if you attempt to do anything remotely Google (maps, game, GCM, etc) related. Yeah I saw that after I posted my comment. Derp. Still, it's frustrating to read "Android Compatible" and know that it isn't. You must have also noticed the Apple products were well represented in the compatibility list. Along with the non apple devices seemingly added as an after thought. Is it correct to assume that this version (being sold by SparkFun as of Sept 2014) is not the rechargeable version? You are correct in your assumption. This is not the rechargeable version. This version of the MiP still requires 4xAAA batteries to operate.